This trip is designed by blending proportionately Religion, History, Culture and Nature. 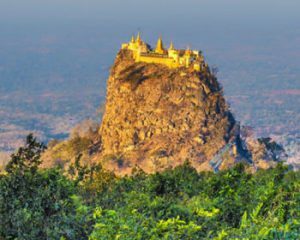 It offers fascinating sights from the leg rower of Inle Lake to astonishing Shwedagon Pagoda .It will allow you to have sufficient free time to admire this Mysterious Country. Arrive at Yangon the main gateway to Burma. 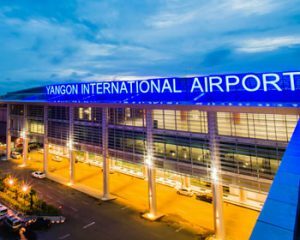 We meet and greet you at the Yangon International Airport and transfer you to your Hotel (Accommodation at Yangon). Today, we take the local day ferry boat for a fascinating trip to Bagan for about 9 hrs. The boat has enough space for relaxation, water logging, sunning, chatting and dining area. We enjoy breathtaking views along the Ayeyarwaddy River. 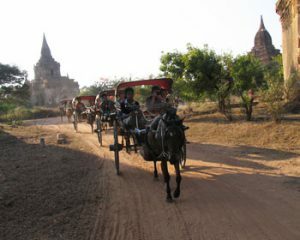 We will arrive in Bagan before sunset. 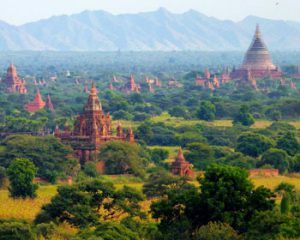 (Accommodation at Bagan). After breakfast, we explore archaeological sites with 42 sqkm with visit to major highlight Pagoda such as Shwezikhone, Ananda, Manuha, and Nana Paya. ” Enjoin Sunset in Bagan ” (Accommodation at Bagan). This morning, we will visit to the Spiritual Place of Mt. Popa known as home of Nats and to make sure that we are always on the good side of the Spirits .En route we will learn at Toddy Palm Farmers house how to distill Palm Vodka and here you can taste the homebrewed Vodka. Visit to a Local village to see their life style (Accommodation at Bagan).